Are bikes the problem or are the train companies not doing enough to accommodate the commuting cyclist? BBC News Magazine has waded into the commuting cyclist vs sardine packed trains arguement. 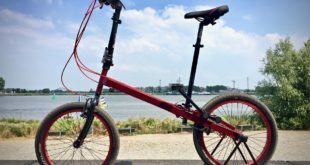 Opinions from commuters, including one who believes that most "folding bicycle users are dropped at the station in a 4×4," are included. The extract, shown below, will aggravate many who are advocates for commuting via bicycle, if not to avoid the Congestion Charge, but for the environment. "For years we had a long standing thing about a little guy who we called ‘cyclo git’," says Nick. "He had a row just about every day – the classic ‘get his bike out of the boot at Sevenoaks station’ man." 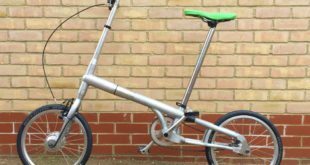 The piece includes a few folding bikes stats form the likes of Dahon and Brompton, such as the statement that about 75,000 of the 3.5 million bikes sold last year where folders. see bbc.co.uk for the full article.